Jennifer Rothschild, best-selling author of the book Lessons I Have Learned in the Dark, will be featured on the Samford University Legacy League Scholarship Luncheon Thursday, Feb. 6, at Vestavia Country Club at 11:30 a.m.
Rothschild is an inspirational speaker, author, singer and songwriter whose books have sold more than half a million copies. She lost her sight as a 15-year girl due to a rare form of the disease Retinitis Pigmentosa. "I have now lived longer in physical darkness than I ever did in physical light," Rothschild says. "Blindness is hard, but it's been a place where God has shown himself to be so kind, strong and faithful. That's why I do what I do - because God has made it well with my soul, and I want others to experience the same kind of peace." Proceeds from Rothschild's appearance will provide scholarships to deserving Samford students with financial need. The cost of attending the luncheon is $50 ($25 tax-deductible). Go to www.samford.edu/legacyleague to make reservations. Rothschild has written nine books and Bible studies and recorded several CDs. 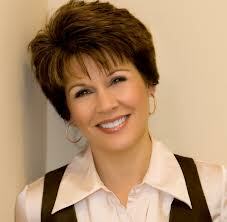 She is founder of the Fresh Grounded Faith Conferences, which she presents about 10 times a year around the nation. She and her husband Phil also founded womensministry.net, an online magazine for women in leadership with more than 25,000 subscribers. Growing up, Rothschild lived in Clearwater and Miami, Fla., and Costa Rica. She is a graduate of Palm Beach Atlantic University in West Palm Beach, Fla.. She and her family live in Springfield, Mo. Her books also include the best-selling Self Talk, Soul Talk. "I write about real life and share what I learn from a real God," she says. "My goal is to create inspiring, relevant, and practical content that will empower you to live out a tenacious faith."